"We give you the peace of mind you deserve." One of the main components of any vehicle is the transmission. Though most engines have benefited from great leaps in technology, it seems that a lot of transmissions can not keep up with the demand of high miles and more abusive driving. Finding a good auto transmission repair shop can really help make things easier. Having A Affordable Transmission Specialists work on your vehicle, will give you the piece of mind that you deserve. A Affordable Transmission Specialists Inc. in Schaumburg, Illinois, helps your vehicle keep up with the demands of high mileage with the best prices on transmission repairs and drive line service. We never run into a problem we cannot fix, because we are always up-to-date on what's new in the industry. As members of ATSG (Automatic Transmission Service Group) and ATRA (Automatic Transmission Rebuilders Association) we attend annual seminars about new transmissions and changes in the industry, and learn about problems they might have that we need to be aware of. 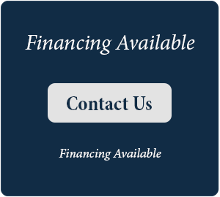 In addition to a wide array of general automotive repairs, we also offer financing options and rental car services. Our prices are unbeatable and our service is reliable and timely. Learn More about A Affordable Transmission Specialists Inc. Contact our drive line service specialists for an advanced approach to transmission repairs.